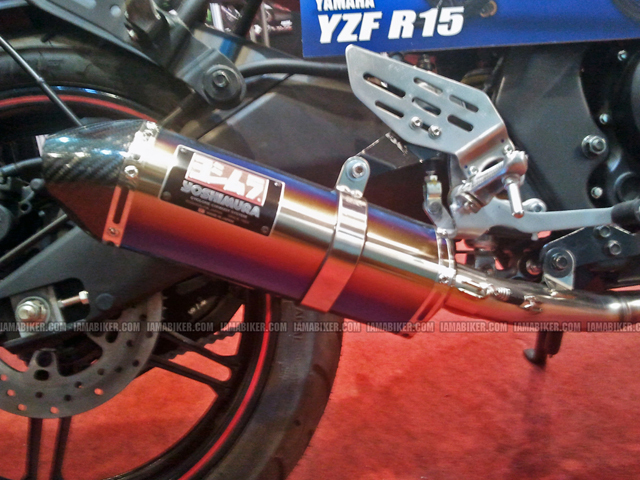 AutoExpo2012: Yoshimura exhaust system for motorcycles | IAMABIKER - Everything Motorcycle! 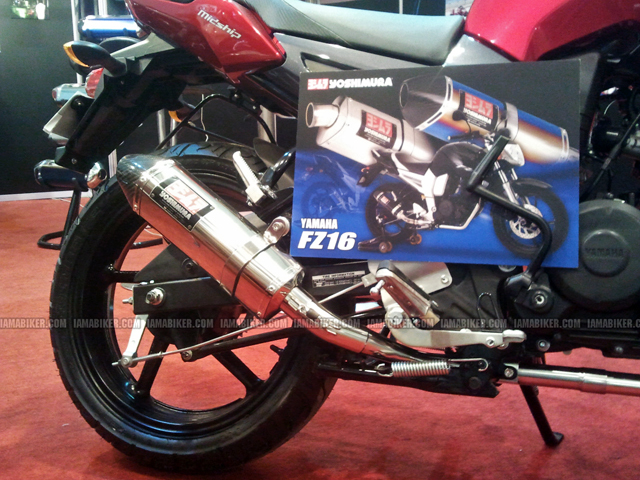 Yoshimura Japan Co Ltd exhibited their exhaust systems on the Yamaha R15 and the Yamaha FZ16. Yoshimura has a long lineage in the motorsports industry and has been a key element in Suzuki’s motorsport racing in the late 70’s. Yoshimura has always considered the exhaust system of a motorcycle to be a key element for the fact that the engines ability to make power is largely determined by how quickly it can exhaust spend gases. Yoshimura has spend millions of dollar on machinery of latest technology for its production needs. But still there remains one constant – all pipes are welded by hand, a skill that goes all the way back to the beginning. The precision and quality remains incredible of the weld. The name Yoshimura rings bells in the heads of many motorsport enthusiasts around the world. And there would be many a smiling faces in India, now that they getting more prominent.